…crafted “from compressed foam with an internal steel frame. The final object is enveloped in fine leather, allowing all the detail to be refined. 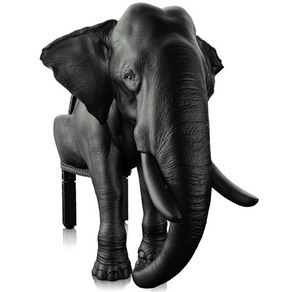 Although not as heavy as an actual elephant, the chair weighs 160 kg. No price available but Riera’s Octopus Chair went for $53,000. Can Elephants Suppress Memories? The Most Manly Lounge Chair You’ll See Today The Bailout Chair A Head. With Feet. 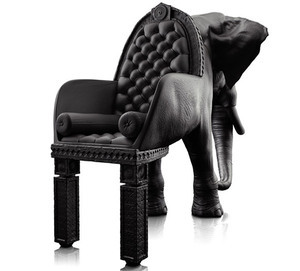 Posted in Misc and tagged chair, elephant at 5:01 pm on May 4, 2012 by Broadsheet.